Hayride is the perfect three season pullover, whether you choose to wear it alone or style it over your favorite plaid shirt. 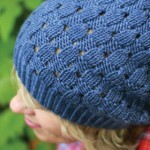 The large bands of changing stitch patterns create lots of interest and loads of texture. 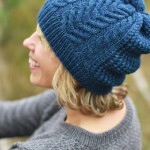 Knit in the round, from the bottom up, the only seaming needed will be at the shoulders!